Baila Brazil is a musical journey into the heart and soul of the African and urban roots of acclaimed dance company Balé de Rua, which premiered at Sydney Opera House in January 2015. Inspired by North-American street dance, capoeira and samba, the company’s energetic yet elegant style is born from the everyday lives of many of the company who grew up in the favelas of Uberlândia in Brazil. Comprising 14 dancer-percussionists, one singer and a live band of keyboard, bass and guitar, the show explores the rich cultural heritage of the Brazilian people. Choreography, Costume, Set Design and Artistic Direction are by Marco Antônio Garcia, with Lighting Design by Nicolas Simonin and Yoann Pelletier and Musical Direction by Pedro Ferreira. Balé de Rua was originally developed as an art project in the poor neighbourhoods of Uberlândia. Since being discovered at the Biennale de la Danse of Lyon in 2002, the company have performed at leading venues across the world, bringing their exuberance and energy to more than 500,000 people in 13 different countries. They have developed free schools in their home town and every year train more than 300 children from local communities, including all of the dancers in the professional company. 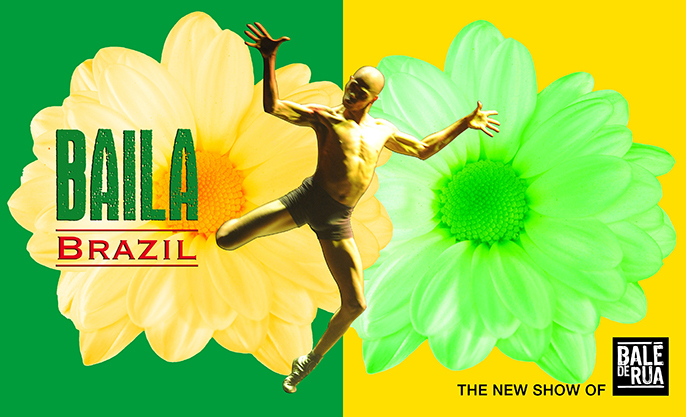 The thrilling mix of Baila Brazil’s original music and passionate dance forms part of the Southbank Centre’s summer-long Festival of Love. The popular riverside urban beach returns, along with many more summer events across the site including installations, performances, music, film, dance, free events and themed weekends. SOUTHBANK CENTRE’S FESTIVAL OF LOVE (6 June – 31 August) Southbank Centre’s summer-long Festival of Love will take over the whole site with installations, performances, music, film, dance, themed weekends and free events exploring the greatest and most complex of all human emotions. The festival will culminate with the second Big Wedding Weekend over the August Bank Holiday weekend (Saturday 29 and Sunday 30 August), when Southbank Centre welcomes all couples to marry in mass ceremonies in the Royal Festival Hall.